Online estate agents in the UK are quickly growing in popularity because they can help home-sellers save a small fortune but which ones are the best? We compare the top 10 online agents to help you decide! Looking for the best Online Estate Agent to sell your home? Use TheHouseShop.com to Compare the Best Online Estate Agents now! For anyone looking to sell a home worth £250,000, the average estate agent fees of around 1.5% plus VAT means the seller will have to fork out £4,500 for their service. Obviously, the more expensive the property, particularly in London, then the higher the estate agent’s fees will be. While many estate agents work hard for their money, there's a growing belief that people can sell their property more effectively and more cheaply if they do it themselves and with many affordable online estate agents offering selling fees of less than £1000, it's obvious why this new route is proving popular. One important reason for finding and then using the best online estate agent for your needs is to get onto the major property portals. Seeing as 90% of buyers and tenants start their property search online, advertising on these powerful portals is a great way to boost exposure for your property. Online estate agents can give you access to Rightmove, Zoopla and other large property websites for a low cost, fixed fee - saving you thousands in traditional commission. Another big attraction for using online estate agents is that they work around the clock and not simply in office hours and this is one reason why Purplebricks is now the fastest growing operator. They say that more than 70% of its business is conducted outside of working hours and a helpline enables customers to not only arrange a viewing but also submit offers, negotiate and agree to a sale. "Having launched in 2013, we've gone on to save our customers millions of pounds every year. In fact, because we don't charge any commission, our customers are able to save on average £9,100 on their estate agency fees!" 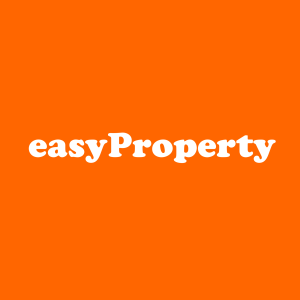 Online Estate Agents provide easy, quick and cost-effective solutions to all your estate and letting agent needs on a no sale no fee basis, so you only pay low fixed fees only when we sell your property! Using the latest technology, our portal seamlessly integrates most of the property for sale and rent process. Our extensive network of experienced local estate agents and valuer’s around the country, enables us to provide you with a service, second to none at the most competitive fixed prices. We provide you with all the tools and expertise you need to sell and rent your house and save you from unwanted costs and commissions. Our advanced systems allow you to receive, view and respond to all activity live 24/7 and securely chat to prospective buyers and sellers around the clock. We pride ourselves in providing a seamless sales and lettings service that represents excellent value for money. However much you want to get involved in the sale of your property, we have the right package to suit you. Put us to the test and get your property sold at the best price in the quickest time whilst saving you ££££’s compared to other online, hybrid and traditional estate agents. Griffin Residential was established in 2000 as a High Street agent and went online in 2015. Having looked at different online offerings, they decided to enter the market place with one of the most cost-effective home selling packages. All properties are listed on Rightmove, Zoopla and Prime Location for up to 12 months. Griffin Residential are an online only estate agent. Viewings are arranged via the online portal with all parties receiving email and text alerts. Griffin Residential, now offer 2 advance payment options and 2 no sale no fee options. The no sale no fee options require the vendor to use Griffin’s conveyancing partners. They have teamed up with ‘When you Move’ who provide several competitive quotes before the client signs up. By using their conveyancers, the client saves a further £125.00 because Griffin include sales progression in this offering. YOPA started in April 2014 and launched nationwide in January 2016 with a national TV advertising campaign. YOPA sell your home for a fixed fee of £839, and unlike many other online agents, assign you a dedicated local expert agent to guide you through the sales process. Your local expert agent will provide a professional, face-to-face valuation, take professional photographs, create a detailed floor plan, and offer help with sales progression to ensure you achieve the best price. You will be able to manage buyer enquiries, viewing requests and offers around the clock on your dedicated online dashboard. YOPA also offer different payment options, so you can either pay the entire fee up-front, or defer your payment for 10 months at no extra cost - which may be beneficial for people with a tight cash flow. TheHouseShop.com have partnered with YOPA to offer Free Professional Valuations to all our users. Book your free valuation from an experienced local property expert today! Doorsteps.co.uk, launched in 2016, has already become one of the best-loved estate agents in the UK. Currently rated in the top 5 Estate Agents on Trustpilot (9.7 rating in Feb 2019), they offer 3 packages from as little as £99 with no commission on the sale of the property. Doorsteps.co.uk offers full agency services with a dedicated national team of local property experts. A Property Account Manager is default in all packages. Upload homes within 24 hours and operate 24/7. There are options for agents to visit the property to take professional pictures and a valuation. Average offer time of 31 days and an average 99% of asking price achieved. Online portal allows vendors to manage viewings and offers. 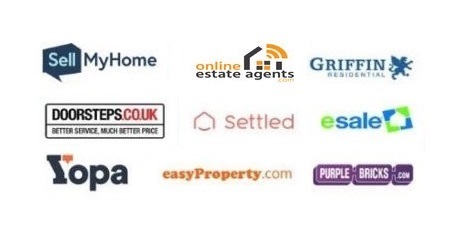 In March 2019, they are the 10th largest estate agency and 3rd largest online estate agency and top 4 trusted estate agents by Which. Having sold over a half a billion pounds worth of property already, Doorsteps.co.uk sellers have saved over £6million in fees in the first 2 years. With award winning service as standard, fees at only a snippet compared to the rest, Doorsteps.co.uk are rapidly becoming the people’s choice estate agents. Settled allows you to be in the driving seat of your home sale for just £499. Set-up by its ex-Google founders, and unlike many other agents, they believe the best person to be at the heart of home sale is you, rather than a middleman. Easy to use technology is at the heart of Settled, allowing you to manage every aspect of your home sale 24/7 through their app. They also support you over the phone from listing to completion, have sold over £500m worth of homes and achieved a 9.4 Trust Pilot rating. This modern approach to selling has ensured over 98% of homes sold achieve asking price, the average time to the first offer is 17 days and due to the personal connection between buyers and sellers, you're home sale is 25% more likely to get to completion. No commission, just a low fixed fee combined with agents who have a motivation to sell your property. Pay an upfront fee of £295 and then a completion fee of £595, only on moving. If you don’t sell your home, you don’t pay the completion fee. It’s that easy. .
Our 24/7 dashboard gives you control. Buyers book viewings anytime online and you can see and respond to offers on your dashboard, whenever and wherever you are. Our easy team is ready to help you seven days a week. Purplebricks advertises extensively on TV and is one of the best known online estate agents with a network of local property experts to help value and market the property effectively. Fees start at £798 or in Greater London it's £1,158. Purplebricks claim they are the world's first 24/7 online estate agent. The number of online estate agents has grown hugely over the past 5 years and there are now a broad selection of online-only or hybrid estate agents to choose from. Different online agents offer different levels of service and you should think carefully about how much of the work you want to do yourself, and how much you want your agent to take care of for you. Cheap online estate agents tend to offer a more DIY service where the seller or landlord does the vast majority of the work. Higher-end online agents tend to use the "hybrid" model where they combine elements of the traditional High Street agent service with elements of an online-only service. Hybrid agents like Purplebricks are usually more expensive, but they will offer Local Property Experts/Gurus who will come and value the property, take photographs, write a description and help guide the seller through the sales process from start to finish. Compare The Best Online Agents Now! She says that High Street estate agents should be more transparent about their charges and help instil trust in the process. With rising property prices, traditional estate agents fees will continue to grow too - making the online agent offering even more attractive to cost-conscious homeowners. Why Can't I Advertise on Rightmove Privately?